The Halloween season is officially upon us, and moviegoers appear to be getting into the spirit by checking out the found-footage horror of Paranormal Activity 3. The third film in the popular Paranormal Activity franchise not only won its opening weekend, but it also set a record for the most successful opening weekend of all time by a horror film (as tallied by Box Office Mojo). The movie raked in around $54 million this weekend, coming in first at the box office and replacing its predecessor as the most successful horror film of all time in its opening weekend. The film, which serves as a prequel of sorts to Paranormal Activity and Paranormal Activity 2, also set an October record for opening weekends, beating last year’s Jackass 3-D for the title. Paranormal Activity 3 is directed by Henry Joost and Ariel Schulman, the directors of last year’s creepy pseudo-documentary Catfish. The film also continued the franchise’s trend of finding success despite relatively low budgets. 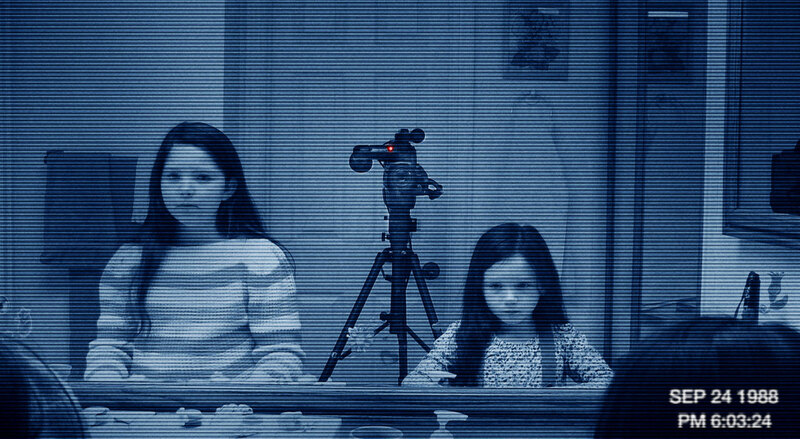 After the first Paranormal Activity cost just $15,000 to make and grossed $107 million domestically, Paranormal Activity 3 reportedly cost $5 million to make and has already made a hefty profit over the production costs. Of course, it’s worth noting that none of the Paranormal Activity films crack the Top 5 in highest grossing horror movies overall (Paranormal Activity comes in at #7, and Paranormal Activity 2 at #11), though the third film is certainly off to a good start. Currently, The Sixth Sense ranks as the highest-grossing horror film of all time in U.S. theaters ($293 million), with The Exorcist in second place ($232 million).